Many have seen the news that American Pastor Andrew Brunson, who was held prisoner in Turkey for two years, was released and returned to the United States last month. It’s important to understand this is victory for U.S. foreign policy and relations, and it’s a story that you won’t hear from most major news outlets. 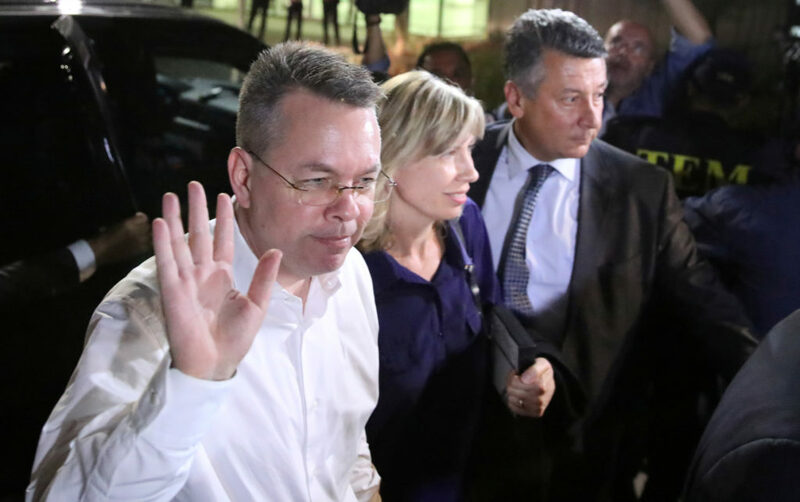 Pastor Brunson has been doing ministry work in Turkey for over 20 years, until he was imprisoned and charged as a conspirator in an attempted military coup two years ago, without any satisfactory evidence. Since taking office, the Trump Administration has been working to secure his release. Above any foreign or globalist interests, the Trump White House is putting American citizens first. When the Turkish government did not listen, President Trump followed through on their promise and imposed tough economic sanctions against Turkey in August. Only after further threats did the Turkish court agree to release Pastor Brunson, under continued protest by the government prosecutors. The Trump administration could have – as many previous presidents – pursued a globalist agenda and put good relations with Turkey and NATO at the top of the list. Instead, they chose to put the Americans first. Plenty of presidents have claimed to support Christians and American Citizens, but the Trump Administration has established a solid track record of defending their citizens abroad. Above any foreign or globalist interests, the Trump White House is putting American citizens first.